Cardano – The self-sovereign economy of the future? After introducing myself and describing why I’ve become enamored with the crypto space in my first post, it is time to write about one of the projects I’m most excited about; Cardano. While being intrigued about Cardano from the get-go, I initially found it difficult to understand and appreciate the full scope of the project. After gradually studying the project in my spare time over the past few months I think I’m starting to see the big picture, which I find absolutely mind-blowing. In this long-read I’ll summarize the key advances the Cardano project introduces and, if successful, how these will change the world as we know it. Transaction backlogs; during intensive use, more transactions are entered than the system can handle, increasing transaction costs and lowering transaction speed. Energy consumption; Proof-of-Work (PoW) mining consumes energy, driving energy consumption to a point where it equals the energy consumption of a small country. While some Bitcoin proponents argue the current banking system is even more energy-consuming, any similarly secure alternative with significantly lower energy-consumption would clearly be more sustainable from an environmental perspective. While both projects have multiple potential solutions being worked on and some other projects are forking them in order to create their own version they’re trying to improve, Cardano is being built from scratch. By basically carrying out maintenance on a moving car might allow these projects to keep their head start, Cardano hopes to design such an efficient new car it will eventually catch up. There are many projects aiming to improve the scaleability, interoperability and/or sustainability of the crypto ecosystem. What really sets Cardano apart from the competition is the process by which it is being developed. Most of the crypto projects that were launched during the ICO-boom of 2017 wrote a whitepaper with concrete deadlines and expected results to raise money, and work hard to achieve both. While such an approach is attractive to investors as it gives them clear expectations what to expect and when to expect it (last year resulting in many ‘sell-the-news’ events in order to take profit), it may not always result in the highest quality products. Learning or designing something new takes time and an unexpected turn of events might cause developers to make pragmatic choices if they’re under time-pressure. The development team from Input Output Hong Kong (IOHK), led by Ethereum co-founder Charles Hoskinson, turned this logic around for Cardano. They want to build the best possible system based on the best available science and theory, and will implement it gradually as pieces of the puzzle slowly are provably solved. To do so, they utilize a system that has actually been used by engineers for hundreds of years; the academic process and formal methods in which the researchers prove their theory works. Every Cardano product that is being released by IOHK therefore undergoes a rigid process. First, scientists develop an underlying theory, which they write down in a scientific article that they present for peer-review at a journal or conference. Several other scientists are being asked to critically peer-review the article. This process is double-blinded, meaning the author’s don’t know who is performing the review, and vice versa, to allow both sides to be critical without negative consequences. After the reviewers give their critical opinion on the article, an editor decides whether it is accepted, rejected or sent to the authors for revision. Articles that are accepted for a peer-reviewed journal or conference therefore have ‘stamp of approval’ of other scientists. For every key technology that is implemented in Cardano, a theoretical proof has been published in a peer-reviewed journal or was presented at a conference, which are available on their website. IOHK’s engineers then continue by further implementing the newly developed theory in the targeted application. When finished, a third party auditing service called FPComplete audits the code, resulting in a monthly published audit report. 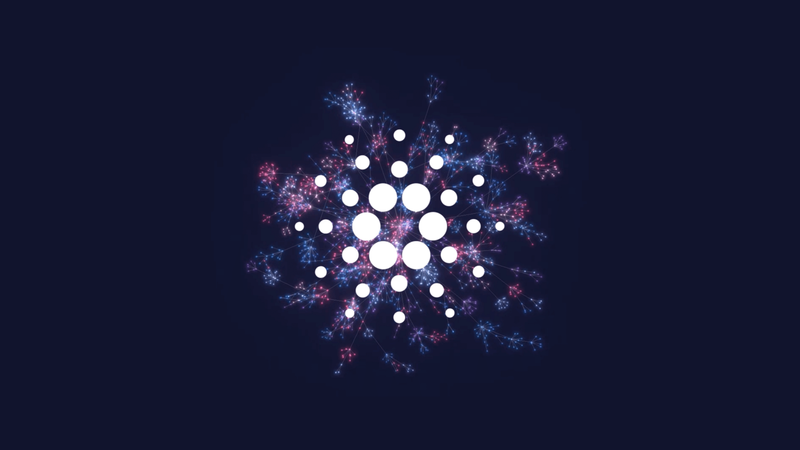 For additional transparency, Cardano releases a weekly technical report in which they give progress reports and explanations for made design choices. So, isn’t all this bureaucracy a bit over the top? Doesn’t it unnecessarily slow down the process? It certainly slows down the process compared to other projects that just write code, run it on a test net and when satisfied implement it onto their main net right away. However, as a result of the transparency and academic process, some of the best minds in cryptographic science (that actually invented the techniques that cryptocurrencies use) have had a chance to criticize the project and find key vulnerabilities. If we count on the academic process and formal methods to build rocket engines, pace makers etcetera, shouldn’t we also apply the highest standards when developing a key infrastructure layer for the future global economy? A less energy-consuming, faster and cheaper currency than Bitcoin? Bitcoin is a decentralized ledger, meaning every node in the network stores a copy of it. To prevent malicious parties from altering the ledger to their benefit, for instance by altering transactions or double-spending, it uses a Proof-of-Work (PoW) consensus mechanism. In PoW, nodes need to solve difficult cryptographic puzzles. The node that first solves the puzzle gets to ‘mine’ the next block and receive the mining rewards (currently 12.5 BTC), while the other nodes verify the current state of the ledger and processed transactions. Since an attack would therefore require the malicious party to own at least 51% of the mining power, it becomes very expensive to attack the network; currently $0.5 billion per hour plus hardware costs. While this system in theory remains vulnerable to cartels pooling mining power (the 3 largest mining pools together currently own 52.3% of the mining power) and hardware (ASIC) producers hoarding the most efficient hardware for their own, the system remains unhacked and has a near-perfect uptime since it’s inception. The introduction of Bitcoin in 2009 was an absolute breakthrough and will be remembered as one of the biggest technological advances of our time, assuming cryptocurrencies are successful. Yet in its current form, it is too slow, too expensive and arguably too energy-consuming to be used as a daily real-world ‘peer-to-peer electronic cash system’ like described in Bitcoin’s whitepaper. If Lightning Network (Bitcoin’s biggest hope to solve these scaleability issues) is successful, transaction speed and costs will go down drastically — but the energy-consumption remains. While the masses accepting the latter as a tradeoff could certainly be a possibility, a similar system that is at least as fast and secure but consumes significantly less energy has an advantage in both overall cost and (environmental) sustainability. Cardano hopes to achieve this by using an innovative variant of Proof-of-Stake (PoS) consensus mechanisms called Ouroboros. In Ouroboros, anyone can participate in the consensus mechanism by (1) ‘staking’ their coins in their own node by keeping their computer online or (2) delegate their staking rights to a stakepool, meaning they don’t have to constantly be online. The consensus mechanism randomly appoints someone to create the next block, where the odds of ‘winning the lottery’ are tied to the relative proportion of stake; the more someone stakes, the higher odds of being appointed. Larger stakepools will therefore more often win the lottery, but the stake rewards need to be divided amongst stakeholders. Finally, it uses a game theory-based incentive scheme that incentivizes both nodes and users to keep the system decentralized. The mathematical proofs for the first version of Ouroboros (Genesis) were already published and presented at the Crypto 2017 conference. Ouroboros is implemented during Cardano’s ‘Shelly’ release over the next few months (~late 2018). One of the biggest underlying assumptions (and thus a potential vulnerability) of Ouroboros is that there is an honest majority participating. Whether this assumption holds after being released ‘in the wild’ will undergo the test of time. If successful, the consensus mechanism will be faster, cheaper and way less energy-consuming than Bitcoin and could in theory be tweaked to be way more scaleable. The mathematical proofs for the next version, Ouroboros Praos, which is even more efficient, are already published and presented at Eurocrypt 2018. Ouroboros Praos is planned to be implemented with the ‘Basho’ release (2019?). After Praos, IOHK will work on Ouroboros Hydra, which should bring further decentralization and scaleability to the consensus mechanism (2020?). If you want to learn more about Ouroboros, check out these video’s explaining it in layman language (7:22 min) and in detail (45:09 min). A safer, more developer-friendly smart-contract platform than Ethereum? The concept of smart-contracts was already being discussed by Nick Szabo in 1995. The suggestion was that in theory, any ‘contract’ or arrangement between two or more people could be programmed, automizing the process and thus decreasing the amount of trust necessary amongst the participants. However, until the inception of Bitcoin, the application of this concept was not feasible, as no secure, trustless system was available. Building on Bitcoin’s success, smart contracts were first successfully brought into practice by Ethereum. The ICO was held in 2014 and the platform particularly gained traction as an ICO-platform during the enormous bull-run of 2016 and 2017. While like Bitcoin, Ethereum marks an absolute breakthrough in the crypto space and technological innovation in general, the system has its vulnerabilities. Besides having similar scaleability issues as Bitcoin mentioned above, the complexity of programming smart contracts also introduced some new vulnerabilities. Mid 2016, one if the most significant hacks in the history of cryptocurrencies occurred as a result. A Decentralized Autonomous Organization (DAO) was built, attempting to automize the decision making of an organization using smart contracts, eliminating the need for human intervention and thus creating a trustless organization. 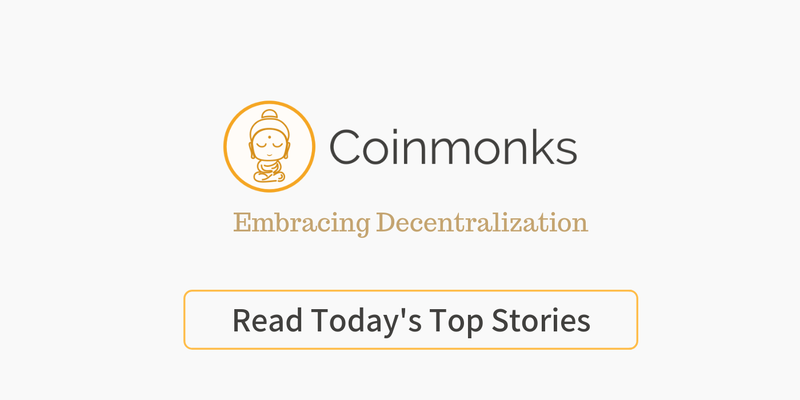 This specific DAO looked to raise money and use a voting scheme of stakeholders to vote where the money would be spent on, which also made it a gigantic honeypot target for hackers. What happened next was that someone found a vulnerability in the underlying codebase, allowing him to double-spend and thus drain a large portion of the money at the expense of other investors. As a result, roughly 15% of all circulating Ether was stolen, resulting in a fork to recover the lost funds, which initiated a massive existential discussion within the Ethereum community and eventually a split of the network into Ethereum and Ethereum Classic. While the ‘DAO hack’ increased awareness of vulnerabilities in smart contract code and resulted in startups such as Quantstamp that audit smart contracts, the fact is that smart contracts remain vulnerable to human error, as similar hacks of Ethereum’s Parity wallet in June and November 2017 occurred. To execute smart contracts for Cardano, IOHK and Runtime Verification are developing a new virtual machine called IELE. Because of a method called Semantics Based Compilation, developers will be able to write smart contracts on Cardano in just about any programming language and are correct by construction. This means Cardano is flexible, very developer-friendly and very secure. Assuming IELE lives up to it’s promise, an incident like the DAO hack will be impossible when writing smart contracts on Cardano. IELE’s testnet was just launched on July 30th. The final version is part of the Goguen release and is expected to be launched somewhere in 2019–2020. According to IOHK CEO Charles Hoskinson IELE will make Cardano a cheaper, faster and more secure smart contract platform for ICO’s and Security Token Offerings (STO’s) than Ethereum. Ouroboros and IELE are exciting, but Cardano’s long term success will almost entirely depend on a key aspect of its final ‘Voltaire’ release (2020?). A tweet about on-chain governance by Spencer Noon. A fully decentralized, self-sovereign system? and no individual or group should have full authority to make decisions on the future of the chain. At the time of writing, the token allocation is pretty diffuse and after Ouroboros is implemented during the Shelly release (~late 2018) the node distribution should be sufficiently decentralized as well. However, for the next few years, IOHK will still be in full control of the development of the system. While this is a clear necessity in the early stages of development, why shouldn’t IOHK just continue to do all development of the chain, since they seem to be doing quite well? The DAO hack mentioned earlier is actually a good example of this. As a result of the loss of funds due to the vulnerability in the code, the Ethereum community was deeply divided regarding what to do next. One part of the community, that included Ethereum co-founder Vitalik Buterin, was convinced that restoring the lost funds would basically show the community could overcome malicious actors. Another part, that included Ethereum co-founder and current IOHK CEO Charles Hoskinson, had the opinion that forking the chain to restore the loss of funds would prove the ledger wasn’t as ‘immutable’ as it said to be, and thus the immutability should be respected. Both sides couldn’t find an agreement, and both the chain and community ended up splitting into what we know to be Ethereum (ETH) and Ethereum Classic (ETC) today. Aside from potential developer and community disagreements, if individuals have a decisive say in important choices or which code is being written introduces a ‘single point of failure’ to the system. Besides potentially making biased decisions, bribery or threats could indirectly impact the security of the system. Therefore, politics actually play a very large role in the governance models of any cryptocurrency, even Bitcoin and Ethereum. So, how can we make this governance system actually trustless and censorship resistant? The only system that has proven to be censorship resistant and trustless is Bitcoin — which is why on-chain governance is such an intriguing idea to solve this political sustainability problem. The recent crisis in the on-chain governance of EOS illustrates that the complexity of such a system should not be underestimated, as the consequences can be enormous. For Cardano, IOHK envisions a system where a certain percentage of the consensus rewards are set aside in a treasury, and periodical (e.g. once per month) on-chain voting determines what it’s spent on. First, during the pre-voting phase, anyone that has a vision on how to improve the current system (e.g. efficiency upgrade, a fork, new feature or dApp) can submit a funding proposal. The rest of the users can register if they want to be (1) a voter, (2) an expert, or (3) want to participate in the election committee. Voters need to stake a certain amount of coins to participate and can either vote directly or delegate their vote to an expert. Experts have the same rights as a voter, but can have the stake of other voters delegated to them, meaning their vote weight can increase. Finally committee members participate in the voting, make sure the election process runs properly and is executed upon. Second, during the voting phase, a representative voting committee is drawn using an algorithm, where the chance of being elected is proportional to the amount of stake that person staked. Also, stakeholders are asked to vote for which funding proposal(s) should receive funding. Like with Ouroboros, any stakeholder can choose to either directly participate, in this case by voting him/herself, or delegate their rights to someone else that for instance is more knowledgeable on the subject or that the stakeholder entrusts to vote in their interest. In Cardano’s envisioned voting system, stakeholders can delegate to anyone that registered as an expert. An expert can even delegate the stake that someone else delegated to them. This is called a liquid democracy. For example: My mother (registered voter) holds ADA but doesn’t feel competent to make decisions on the future of Cardano. Yet, she knows I (registered expert) am actively following developments and fully trusts me to do so or at least figure out who to support, so she delegates her stake to me. I indeed read a lot about Cardano and am actively participating in the community, but don’t think I’m enough of a subject matter expert to vote on the respective topic, so I delegate my (and thus my mothers) stake to a community leader (also expert) that I know and appears to have a similar moral compass as me. This community member then votes yes or no, representing his/her own stake, mine, my mother’s and anyone else that has delegated their stake to him/her, significantly increasing his/her vote weight. Third, during the post-voting phase, the election committee members will verify the results and, if indeed legit, execute on them. All proposals are then ranked based on relative proportion of positive votes. For instance, a proposal on which 80% voted yes is ranked first, then a proposal receiving 75% positive votes, and a third project received 55% positive votes. The available treasury funding is then assigned to them in this order, as long as funding is available. For instance, there might be enough funding for the first two proposals, but not for the third. The remaining funds will then be divided across everyone that participated in the voting process as ‘voting rewards’. Dash is a cryptocurrency that has a similar voting system where their masternode holders can vote. However, the system lacks privacy, which in theory could influence voters, for instance when controversial proposals are being voted on. In Cardano, casted votes will therefore be obscured using zero-knowledge proofs. Cardano’s on-chain governance model therefore introduces several conceptual breaktroughs, including that (1) it is a hybrid system in which participants can either vote directly or delegate their vote, (2) delegation and voting are performed simultaneously, and (3) all votes are done in private. IOHK has published an academic paper about the proposed treasury system in October 2017, but doesn’t plan to roll out the on-chain governance system until the very end with the ‘Voltaire’ release. This allows them to gain ‘real world’ experience with staking in Ouroboros (which is somewhat similar) first, learn from the successes and failures in on-chain governance of other projects and buy some time to fine-tune the system to perfection. While I am by no means a subject-matter expert on this, as a scientist I tend to be skeptical until proven wrong. Personally, my biggest concern is that the staking threshold, which is necessary to prevent denial of service and sybil attacks, may cause the actual voters to be an unrepresentative sample of the total population, as richer stakeholders may have more opportunity to participate. This will depend on how high the actual threshold will be, which is still unknown. I have faith in the IOHK team to find the best possible solution, but as with everything else, time will tell what the actual implementation is going to look like and if that indeed works as envisioned. A system that will improve worldwide socioeconomic equality? Late 2014, before the Cardano project was even initiated, IOHK CEO Charles Hoskinson spoke at TEDxBermuda about how the future would be decentralized. In his presentation, Hoskinson described the life of a 30 year old American and compared it to that of a similarly aged Afghan. His example made it perfectly clear that a lot of the things people living in first world countries take for granted are not necessarily available elsewhere. In fact, this is the case for roughly 3 billion people worldwide. For first world countries, a system like Cardano could provide an excellent infrastructure upgrade, but for people living in developing countries, it could be the first time they have a birth certificate, land registry and access to a system that is censorship resistant, stores their money and allows them to transfer it fast, cheap and secure. This is why Cardano has a clear vision on how blockchain technology can help developing countries. IOHK reached out to African universities and offered their best students an opportunity to learn about blockchains, programming etc. from their personnel, which is working at renowned universities and research institutes worldwide. In return, these students teach IOHK about the actual day-to-day problems their native countries deal with, and help IOHK to find a solution to solve them. Hoskinson expects the results of this to show roughly around 2022–2025. This has already led to a memorandum of understanding (MOU) with the Ethiopian government, where IOHK promised to train blockchain developers while the Ethiopian government explores the use of blockchain technology in their agriculture, particularly for coffee. Similarly Hoskinson has recently spoken at several events in Rwanda, which also drew a lot of interest. If Cardano indeed becomes a secure infrastructure layer for the economy of the future, it appears most likely to be implemented in developing countries first. And if it is successful at that, it will change the lives of billions of people worldwide. Cardano introduces so many exciting new technologies, and we haven’t even talked about interoperability, privacy, quantum resistance, a blockchain-agnostic wallet, paper wallets, upcoming hardware wallet support, Cardano ATM’s in Japan and the upcoming debit card yet. However, title and subtitles have a lot of question-marks behind it, for good reason. The big question is: will the developed theories actually work as expected in the real world? The fact that Cardano’s technologies like Ouroboros’ novel incentive scheme and the on-chain governance model are based on formal verification and mathematical proofs is excellent. However, they do count heavily on underlying assumptions that are therefore by definition assumed to be right until proven wrong. Therefore, Cardano will need to stand the test of time before we can be more sure that it is indeed legit. This is not a knock on Cardano but is the fate of any cryptocurrency that counts on game theory and incentive schemes for decentralization, even Bitcoin. It is in my opinion therefore unreasonable to expect Cardano to immediately become a key infrastructure layer in our lives after its implementation (2020?) right away. Yet if it functions as expected and proves to be resilient, a gradual increase of trust in the system will likely increase adoption and could eventually enable it to live up to its full promise. In some ways, Cardano is like slow cooking and mindful eating. IOHK take their time to cook the best possible meal. Let’s make sure we stay mindful when eating it; alert to see if it lives up to it’s promises and of course enjoy every bite if it does. This article is also available in Chinese and Russian. Disclaimer: This article was written for informational and educational purposes only and should not be treated as investment advice.